Dubai: As New Zealand and the rest of the world marked one week after the terror attack on Christchurch mosques that killed 50 worshippers, the way the New Zealand PM Jacinda Arderm and her people handled the aftermath of the carnage with full of sincerity and concerned action is garnering more and more admiration. 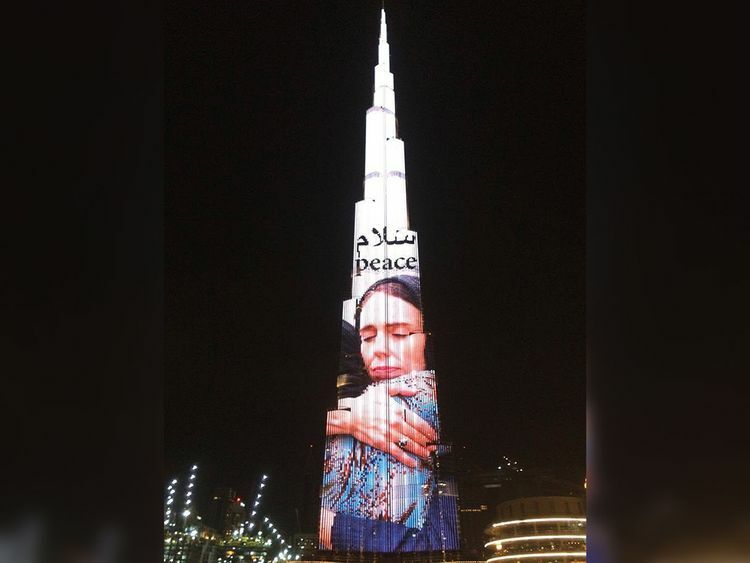 As a mark of appreciation from UAE, Burj Khalifa has displayed the iconic image of Jacinda Arderm hugging one of the victims on Friday. “New Zealand today fell silent in honour of the mosque attacks' martyrs. Thank you PM @jacindaardern and New Zealand for your sincere empathy and support that has won the respect of 1.5 billion Muslims after the terrorist attack that shook the Muslim community around the world,” Shaikh Mohammad tweeted.